The mSupply Customer Interface allows staff of Customers in your mSupply system to report their stock levels and order stock from a store in your mSupply system. It runs on a browser on any device: tablet, smartphone, net-book, desktop computer etc. While the Customer Interface will run on smaller devices like smartphones, it is generally impractical to use with screens smaller than 5 inches across the diagonal. The Customer Interface is designed to be used by staff of Customers in your mSupply system i.e. people working in places you supply, but they could be people outside of your organisation. (Supplier) Invoices: Display a list of orders that have been processed and are waiting to be processed by the supplying store. 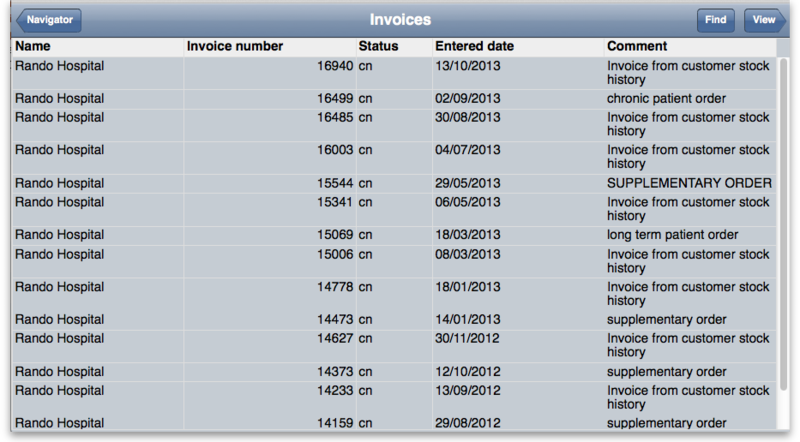 You can also see details of any selected Invoice. Orders: Orders for stock from the supplying store can be created, deleted and edited. 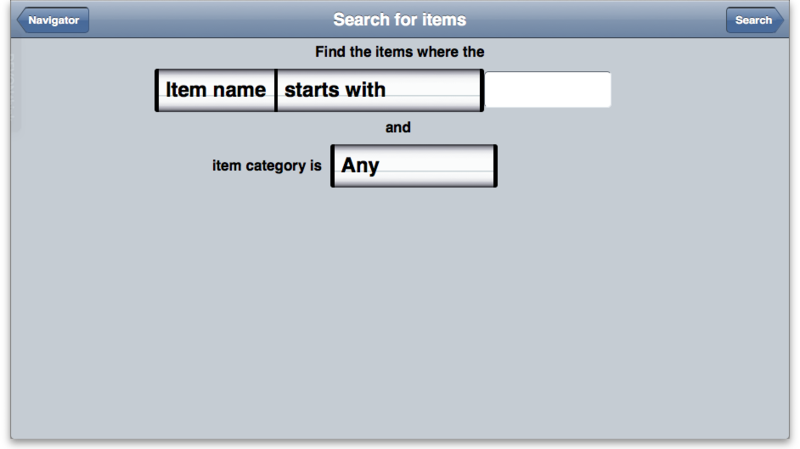 Items: Display a list of Items available in the supplying store. Stocktakes: Display a list of Customer Stocktakes (including Imprests) and details of any selected Stocktake. Customer Stocktakes can be added, deleted and edited. Batch number and expiry date are not displayed, selectable or editable in the Customer Interface. mSupply does keep record of those details for stock issued to the Customer from the supplying store. mSupply does not attempt to keep any record of stock issued / consumed by the Customer. Customers can report inventory through the stocktake process and mSupply does keep these stocktake records. You can find details of how to do this on The mSupply Web Server page. The hyperlink above links to Sustainable Solutions' mSupply Web Server for mSupply Customer demonstration. You will not be able to proceed further without a username and password - see below. Contact us on email:info@msuppy.org.nz if you would like a temporary username and password to try it out. Once set up with your own Web Server, the correct link can be bookmarked to save you typing it each time. Show Processed Invoices to see invoices from the supplying store that have already been processed (goods have been picked and packed). Show In-Process Invoices to see invoices from the supplying store that have not finished being processed (still waiting for goods to be picked and packed). Show Items to see information on items available in the supplying store. Show Orders to view a list of orders that have been created but not yet completed. Create Orders to create a new order for stock from the supplying store. 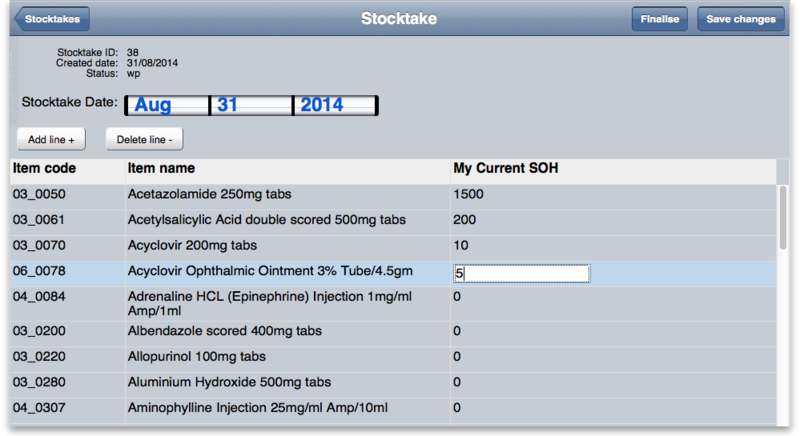 Show Stocktakes to view and create customer stocktakes or imprests. Choose the options using the selectors and enter some text in the textbox to define the search filter. Then tap Find to search for invoices. When the search is complete the list will be updated with the results. Tap Invoices to go back to the list of invoices. Again, tapping on a particular row and then then on View will show the details of the highlighted invoice. Tap Navigator to go back to the main options screen. Note: The Stock on Hand figure is the supplying store's stock on hand, not the Customer's stock on Hand. Select Show Orders to display a list of orders that have been created. Tap on Navigator to return to the main options screen. Note you can also edit the quantity directly in the list. If you have been assigned an order List of the items you are allowed to order, tapping the Add lines from Order list button will display the items on the list(s) defined for the customer you are logged in for. 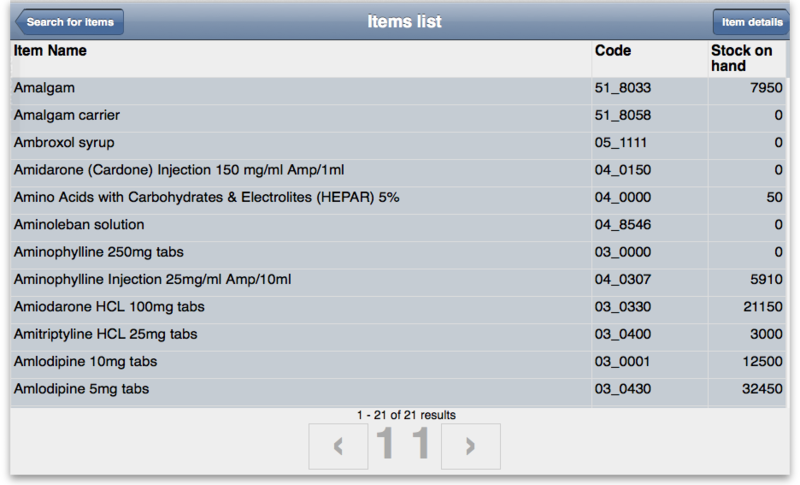 The list will be displayed in the same order as was specified when setting up the list in mSupply. 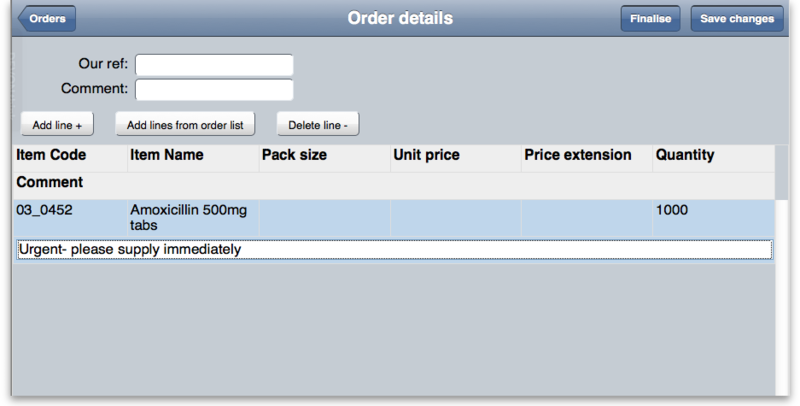 The customer's order will appear in mSupply desktop as a customer invoice with 'wf' (web finalised) status. This means the customer can no longer edit the order but the desktop user can edit the order. The customer invoice displays the customer's order with placeholder lines by default. This gives the mSupply desktop user control to choose the stock for the customer's order. To choose stock see the re-distribute section: Redistribute placeholder lines. The stocktakes feature is useful to those users at a central supply facility who are responsible for managing orders from a number of remote facilities based on the stock levels in those facilities. From this window you can view an existing stocktake by tapping on a row and then on the View/Edit button. You can choose to create a New stocktake or New imprest by clicking the appropriate button. The option chosen depends on whether you are using the dynamic Stock History system of stock management, or the Imprest system. These systems are covered under Stock Control methods for your customers. 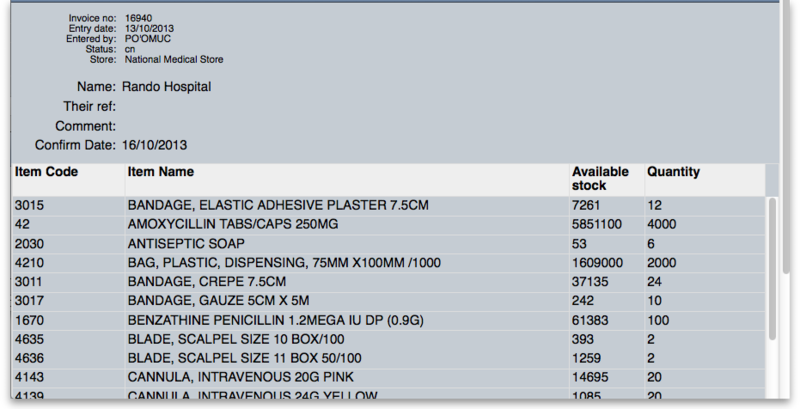 By clicking either of the New stocktake or New imprest buttons you are presented with a screen showing the items you carry in stock, but with quantities of 0. If you want to finish the entries later, click Save changes and then Stocktakes to return to the list. You can then use the View/Edit Button on the stocktakes list to return to your stocktake later. Once you have entered all your stock on hand figures, tap Finalise to send the stocktake to the central store. You will be prompted for a confirmation to finalise the stocktake. Once you confirm the finalisation of the stocktake, you will be taken back to the Show Stocktakes window. The stocktake you were just working on will now be invisible unless you change the view to include finalised stocktakes. The operator at the supplying store may then process the information entered by the remote customer by choosing from the menu Customer > Show customer stock history, and looking in the Customer stock history list window for recent entries having a status of wf (web finalised). Double clicking on the desired entry displays the Edit customer stock history window showing the data entered by the remote customer. The details may be reviewed and figures entered in the Actual quantity given column before clicking on Create Customer Invoice, at which point the status changes from wf to sg and it may no longer be edited by the remote customer.